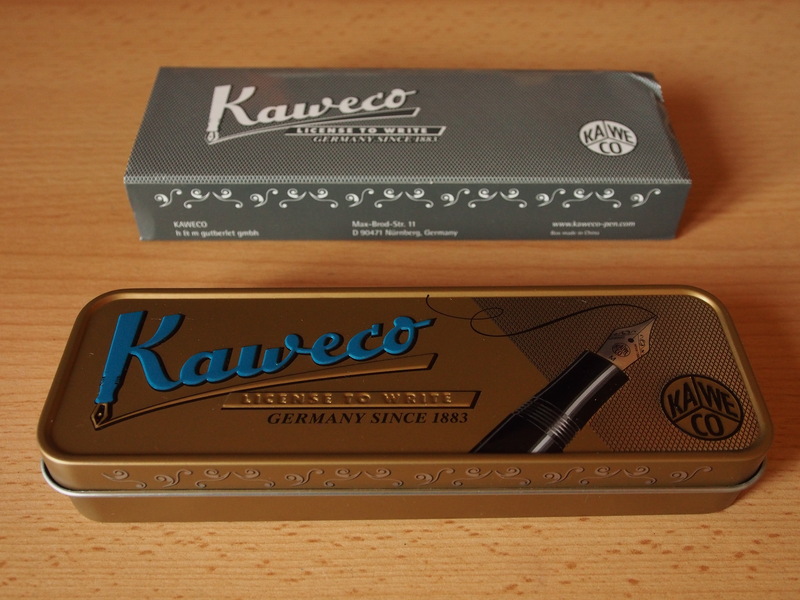 The pen was provided with the now familiar Kaweco tin box with cardboard sleeve, which, at the risk of overstating the point, is the kind of minimal packaging that I like. The pen finish is unlikely to be scratched, but the faux-velvet insert would not have done that anyway. 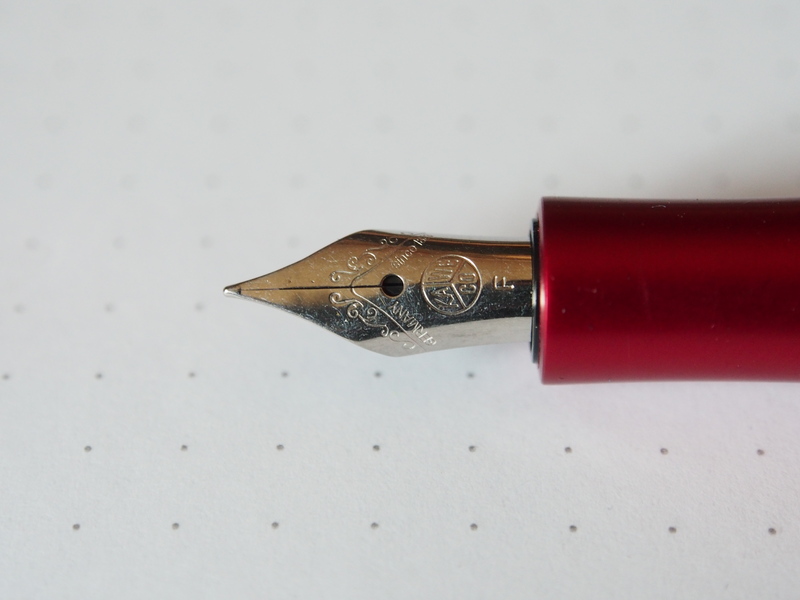 This is the most classically-styled pen in this batch of reviews, and as such the one that would be most likely to suit my tastes. It is also the most ornate, although all the decoration is reserved for the cap. 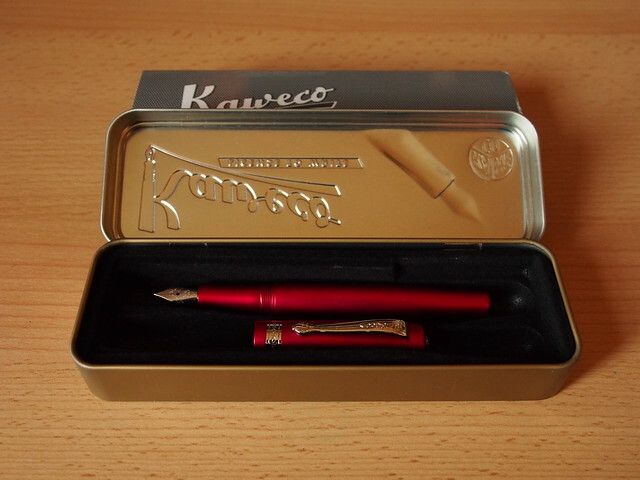 Apart from the Kaweco finial, there is also the curved clip, which is quite secure, if a little stiff: it also has “Kaweco” written on it. On the opposite side of the cap from the clip, are the words “Kaweco Allrounder Germany”. There’s no chance of mistaking who made this pen (unless you misplace the cap). 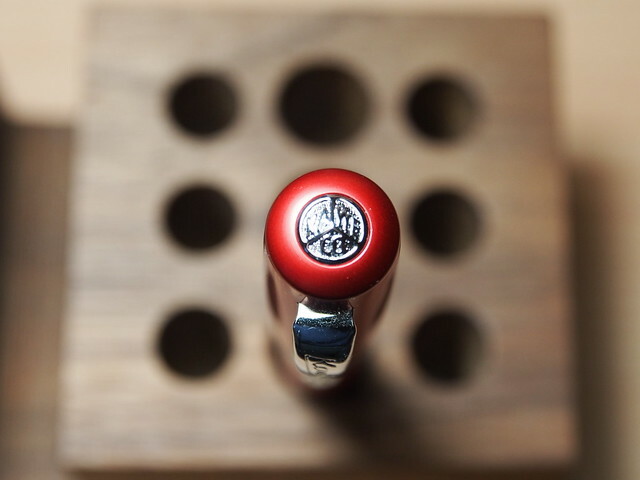 The last item of furniture is the band around the cap – I’m not sure if the pattern has any significance, but regardless it does complement the rest of the pen. All the furniture is in chrome finish, which is fine by me. 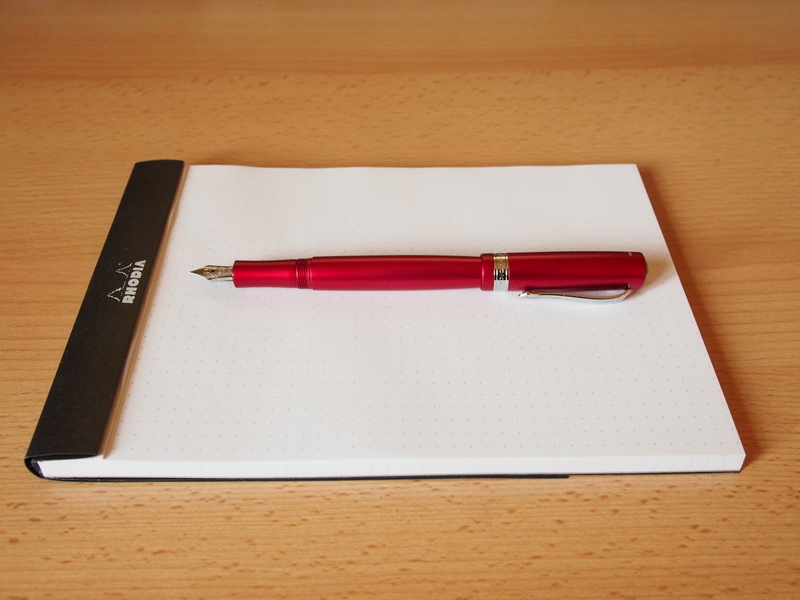 It’s not a small pen, but is reassuringly weighty, and appears well made. The metallic red finish looks resilient, although I did find it a little slippery, most significantly on the grip. When using the pen my thumb rested (not uncomfortably) on the threads, so the slippery finish was negated. However this might be more of an issue for those with a different grip. The cap screws onto the barrel, but is push fit to post, and due to the finish does take an extra push to make it secure. 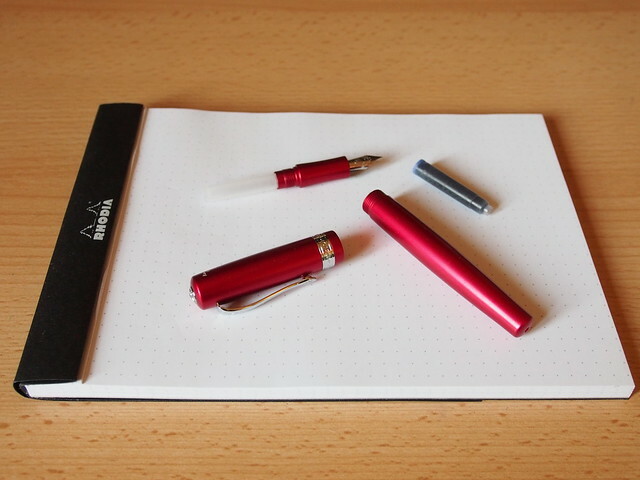 However, when posted the pen is very long and the cap sits so high that the weight leaves the pen unbalanced (at least for me). 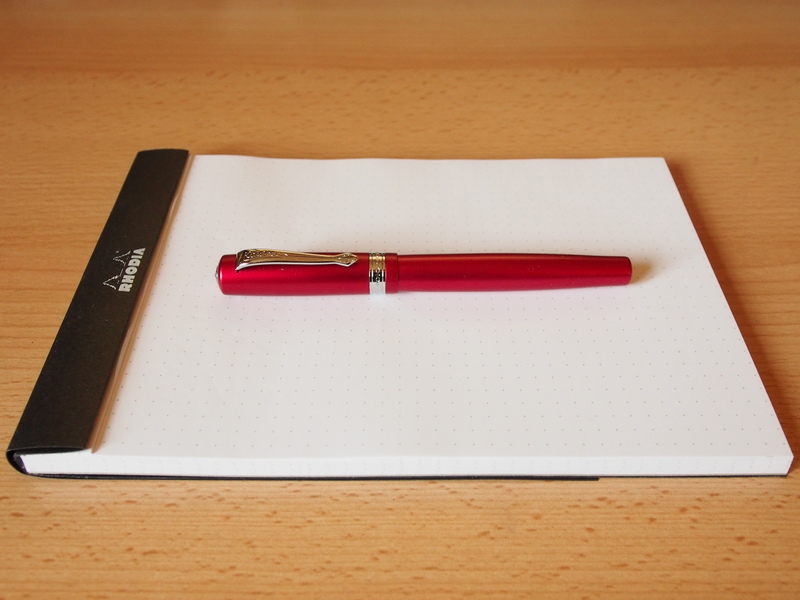 Unposted, the pen is an ideal weight and balance for me, so I would prefer to use it this way, which is against my usual preference. 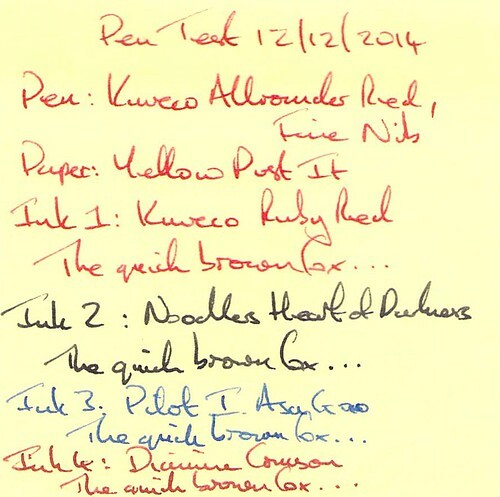 The pen was provided with a short international blue cartridge and there is room for a second one. 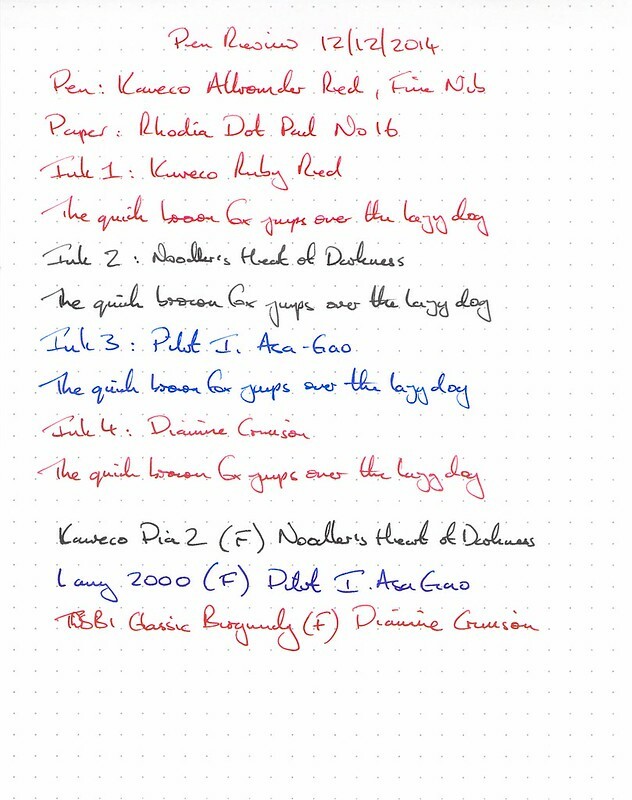 The pen was not supplied with a cartridge convertor but as I already have one I could try a selection of my other inks. 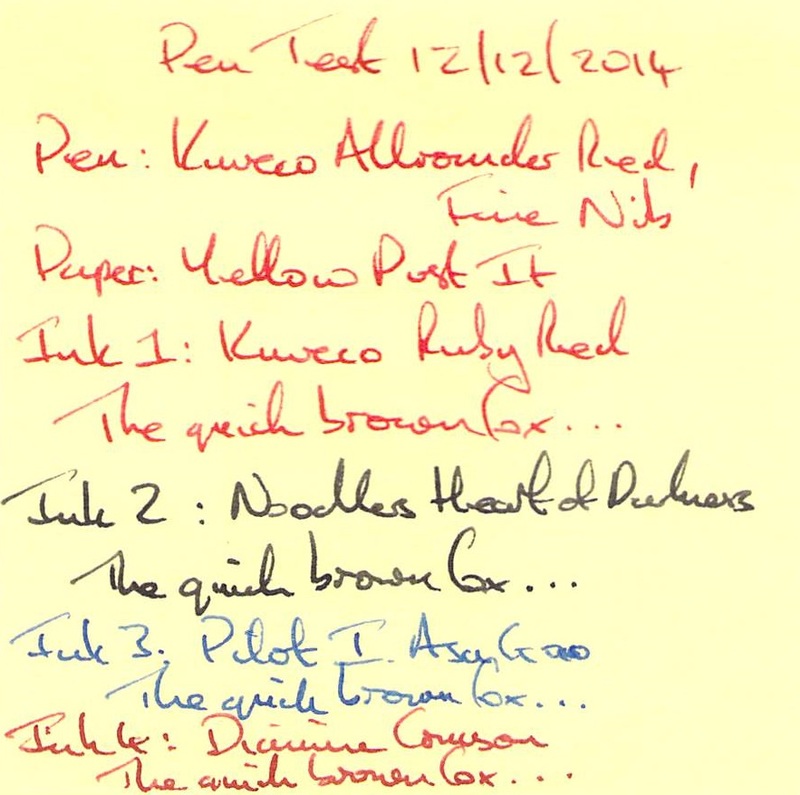 It will come a no surprise that I would usually use a red ink with a red pen. 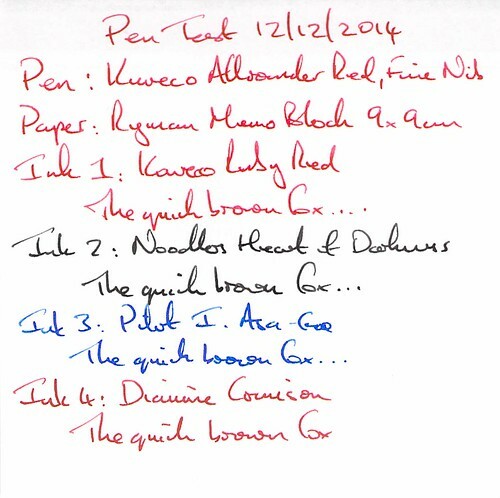 The nib does appear slightly small in proportion to the rest of the pen, but not obtrusively so. 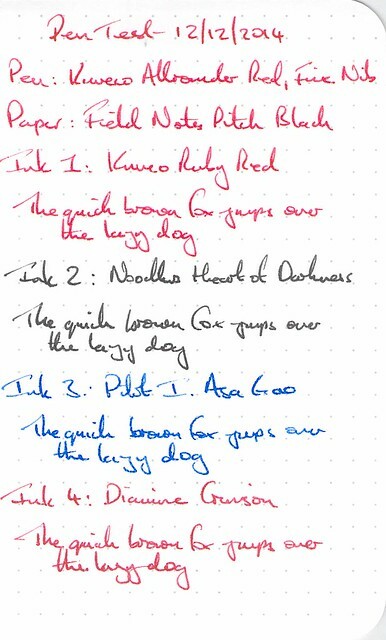 For the writing tests I tried a Kaweco Ruby Red cartridge, along with my three current EDC inks (Noodler’s Heart of Darkness, Pilot Iroshizuku Asa Gao and Diamine Crimson). I found that the Kaweco cartridge performed well with this ink, as did the EDC inks. 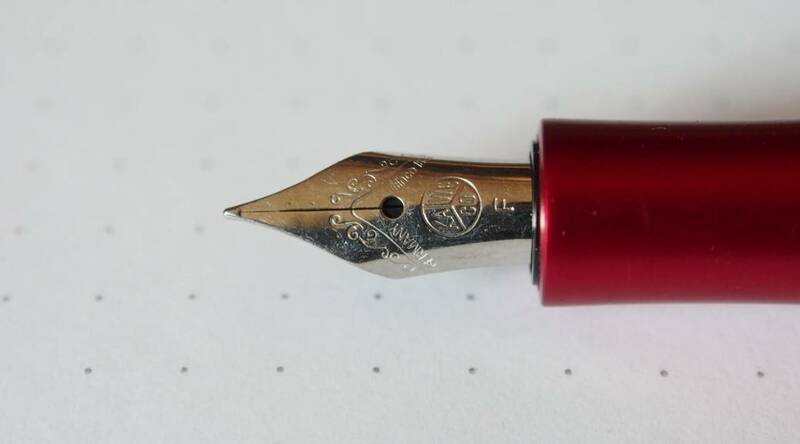 As with the other Kaweco nib units I have tried, this one was easy to clean. As can be seen from the Rhoda Dot Pad writing test, I already own a Kaweco Dia2 with a fine nib, and this is one of my EDC pens (currently with Noodler’s Heart of Darkness ink). The nib in the Allrounder was consistent with the nib in the Dia2. In the spirit of full disclosure I opened up the flow of the nib in the Dia2 slightly because I found it a little on the dry side. After that I was happy with it. Had I been keeping this pen I would have done the same, as I also found it a little dry, but not uncomfortably so. What are my favorite features? The overall styling and the bright red metallic finish. Is there anything I don’t particularly like? 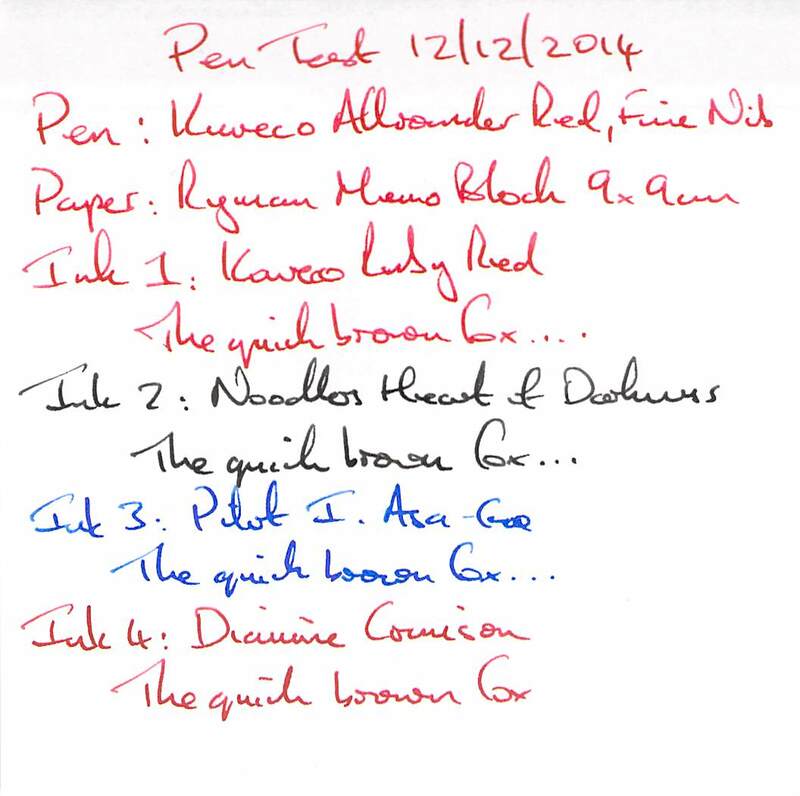 The slippery finish, and the weight of the cap which unbalances the pen when posted. If I had paid for the pen would I regret it? Probably not, but I do prefer to post my pens. 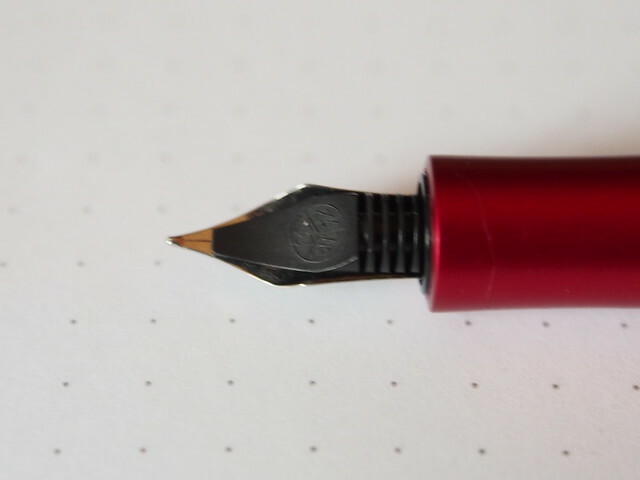 That being said my current red EDC pen is a TWSBI Classic which physically can’t post. I would rate the two about equal on that level, but I am on the lookout for a new EDC red pen. Now that I’ve tried it would I buy one? Not for the time being. I think I’ll check out a few others first – including the Kaweco Student, which is made from acrylic so the cap may not have such a detrimental effect when posted.